Whitney Houston was THE VOICE! The super singing Pop Diva was found dead in her hotel room. It's been hours since I found out about the death of one of my favorite voices. I cannot find the words to express the hurt I feel as a fan. 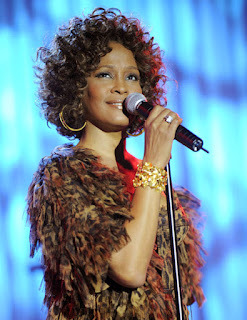 I loved Whitney Houston the singer, actress, model, and producer. I thought she was amazing at everything she did. 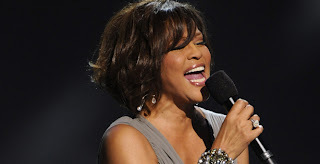 From the super hits of "The Greatest Love of All", "Saving All My Love For You", and "I Will Always Love You" to the super movies "The Bodyguard", "The Preachers Wife", and "Waiting To Exhale"; Whitney conquered. I know that many will focus on her troubles with addiction. The Diane Sawyer interview will be replayed again and again, while "I Will Always Love You" will be played softly in the background. This will all give it a dramatic spin. Whitney Houston addiction was an illness and it wasn't a secret. However, I want to dedicate this post to the music of Whitney. Whitney Houston was a singer and not just any singer but one of God's most amazing treasures he put on this earth. I'm guessing God must have really needed a Soprano in that heavenly choir. He called home the best. Whitney is finally free of her addiction. The Fresh Music Page prayers and thoughts are with Whitney's family and friends especially her mother Cissy Houston and daughter Bobbi Kristina.